Amy- great post as always! 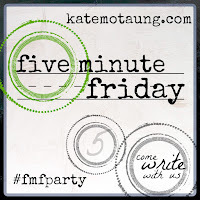 I love your 5 minute blogs! Green in my work world is all about the money but in life I think of new growth. Worry stunts growth! We can't have it ! Love the Proverbs verse- super reminder! Have a great weekend! Thank you, MB! I totally agree - worry stunts growth and it sure zaps our energy! Nothing good about it! I like this verse too that you pulled from Proverbs. Isn't it wonderful when we have those moments we can live like that? Yes, it is such a freeing feeling! Thanks for stopping by, Summer!